BOSTON — It is hard to overstate what a sensation “Riverdance” caused a generation ago. It debuted almost 20 years ago and helped spawn a whole new appreciation of Irish culture worldwide — especially Irish music and dance — while also successfully integrating dance and music from other cultures into the mix. It made a star of dancer Michael Flatley, sold CDs and DVDs, spawned spinoffs and imitators, and presumably made its creators very wealthy as it toured the world for years. No one had ever seen anything quite like it and the best part was that you didn’t have to be Irish — or Irish-American — to love it. The producers of “Riverdance” have returned to Boston at the Citi Performing Arts Center Wang Theatre with a new production: “Heartbeat of Home,” which incorporates many of the same elements which made “Riverdance” a success while taking advantage of the progress in lighting, sound, and projections in recent years to ratchet up the spectacle. For example, the dazzling HD projections, some of them breathtaking, allow the action to move around the world on a moment’s notice. “Heartbeat of Home” features a cast of 37 and a versatile 10-piece orchestra that is able to switch gears — or cultures — on a moment’s notice from traditional Irish music to a flamenco beat. 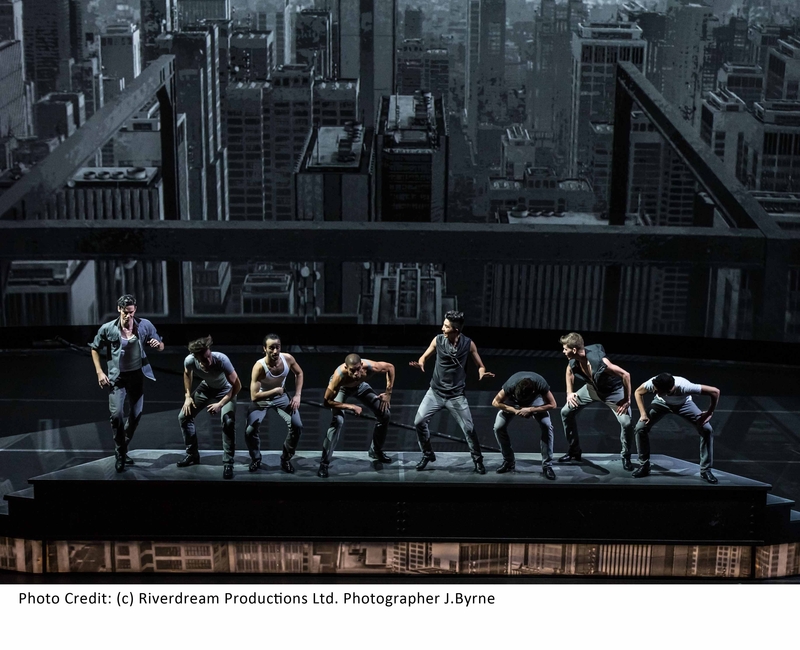 The production showcases world-class dancers from Ireland, USA, Australia, Britain, Canada, Italy, Mexico and Spain. The overall theme of the production is leaving home, which many Irish — as well as those from other nations — have done, be is to escape famine or simply to seek a better life. The music and dance — be it Irish, Afro-Cuban, or Latin — is all related, of course, which was part of the theme of the original “Riverdance” and has carried over to this production. The first act of “Heartbeat of Home“ — titled “Ocean of Dreams” — features a lot of the elements that made but despite the staging, music, and dance, there is a distinct feeling you’ve seen much of it before. Fortunately, the production find its stride with come spectacular numbers in the second act, titled “Land of Dreams,” which features the best Irish dance and music have to offer while also again successfully integrating other worlds. “Fiesta Mundo” is a dazzling block party where rap meets Latin meets Irish. A number that takes place on top of a skyscaraper — “The Don’t Slip Jig” — pays homage to an iconic photo and the immigrant’s role in building this nation and “Taking Flight” is a dazzling marriage of projection and Brian Byrne’s music. “Latin Groove” explores the connections between that genre and other genres in a myriad of creative ways. Dark-haired Ciara Sexton is one of the Irish dancers who seems to float above the stage Tommy Hodges is her male equivalent, tall, handsome with as fleet feet as you’ll find west od Dublin. No doubt this is both a talented and good-looking group. Bryne’s ability to blend several different genres of music made it possible for Irish, Afro-Cuban dancers to all successfully share the stage, performing both individually and as of a larger group. Vocalist Lucia Evans has a haunting voice and is shown to good advantage by the score. Boston loved “Riverdance” on its many visits to Boston and it would be surprising if it didn’t give the same welcome to “Heartbeat of Home.” The only problem is that, this time around, it takes a while for it to really start your heart beating.